Categories: Cards | Tags: anniversary, Card making, Cards, love, rubber stamps, stamping | Permalink. Both cards are awesome. Great masculine designs. The gold and navy look great together and the chevrons are so fun! You are really making some great cards. I have no doubt who will get this one. Haha. Great effect on the Ombre background chevron. I love them both. Love both of your cards. Great job with the chevrons. I like how you did the sentiment on the first one. Two gorgeous cards! 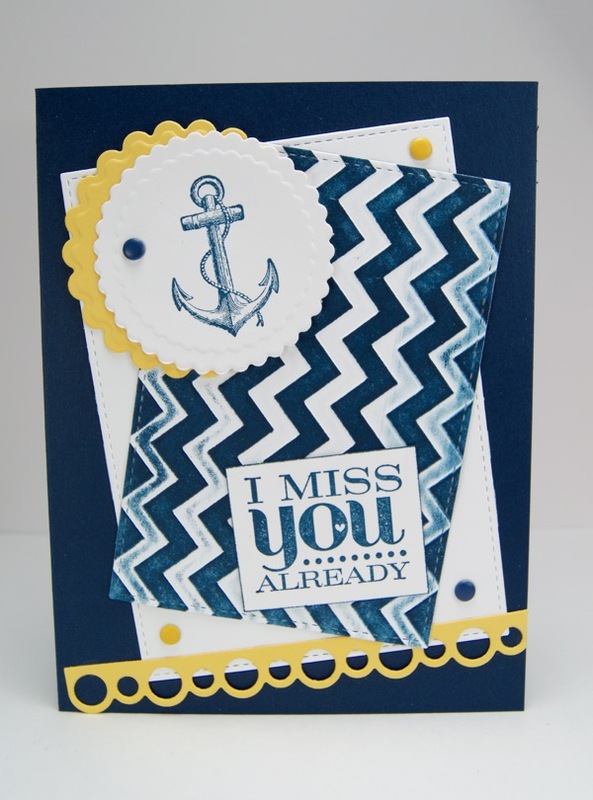 Love those stamped chevrons and the colors are awesome! Both cards are beautiful! I have never tried to ink an embossing folder with my brayer…….definitely going to have to try that. Love how you were inspired! Both cards are very pretty Nancy! I love the inked embossing folder technique! A two-fer. It’s great when one card inspires another. I haven’t done the embossing folder technique in a while but your’s turned out great. 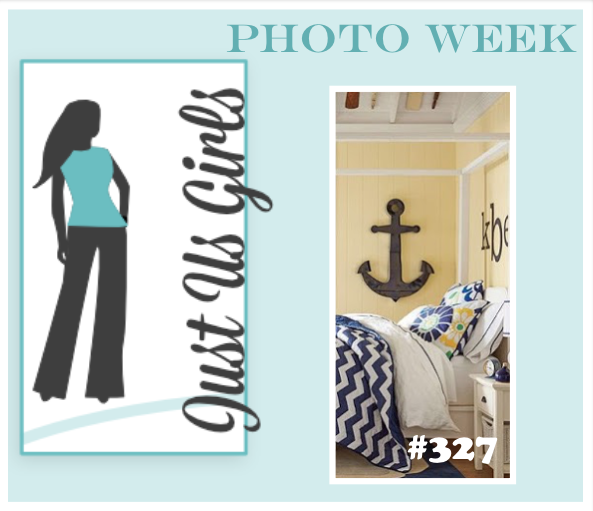 I may have to get out my Cricut to do an anchor. Yay for you! Two awesome cards. Love how your chevrons turned out, love that technique. I’m definitely admiring all that chevron loveliness on your beautiful cards! Super duper chevron cards. Love then both with such great layouts. 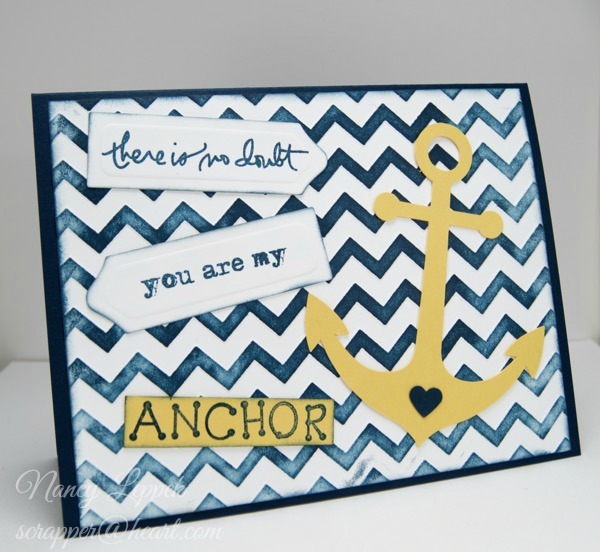 Using the embossing folder to make the blue chevron paper was a brilliant idea! The only blue chevron paper I had was that bit of scrap that JUST fit the heart die! I wish I would have thought to use my chevron EF, would have saved me at least an hour riffling through all my papers! LOL! Your cards look amazing!